Have you ever played Skyrim? Grand Theft Auto? What about Borderlands? All three of these games are considered open world games, all of which take into count player’s choice. What do I mean by player’s choice? Sure, in most games, the player can choose how they play (that’s what makes them interactive), but how much choice he or she actually has is what varies from game to game. In games like Halo, players are guided through the level in a linear fashion. There’s a point A and point B, and a path between the two. Yes, there may be multiple paths that lead you there, but the player’s choice of one of the paths typically doesn’t affect the outcome of the game. Point A is still the beginning and B is still the end. Open world games give the player more choices, but their designs are still limited and bound. You can choose how and when you want to travel. 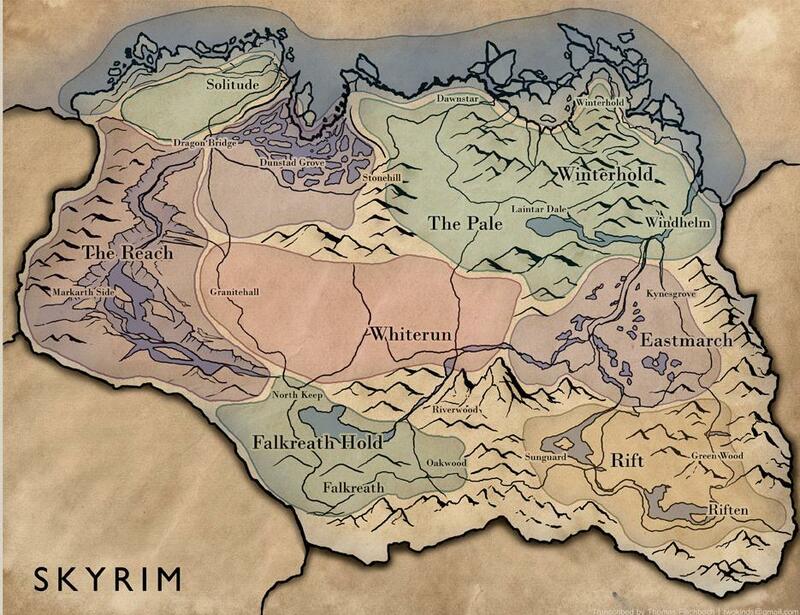 In Skyrim, you could either fast travel from Whiterun to Solitude, or buy a horse and ride there. Maybe you’re the type of player that wants to walk there and collect some ingredients to make potions on the way. These are your choices, but you must get to the destination to progress the story. Open world design with bounds, more than just physical bounds, such as mountains or sea, keep you locked into the playable game space. 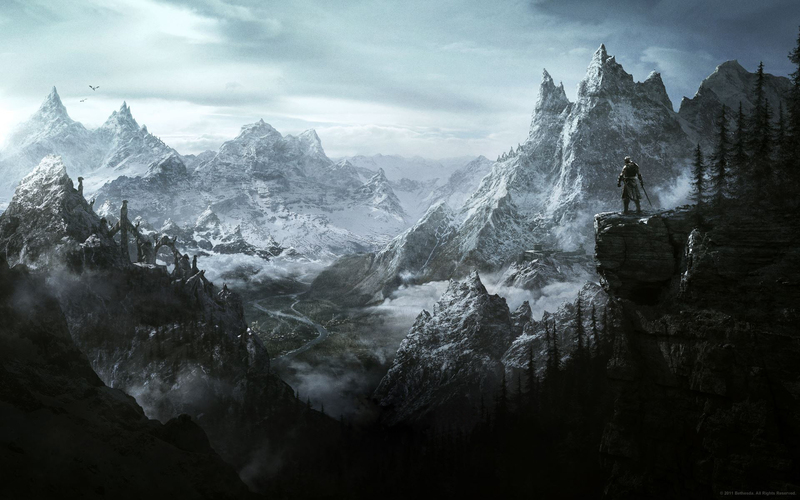 In a game like Skyrim, there are reasons for everything the designers do. The concept of “open world” can be dangerous; it can be scary. Open world can be a designer’s nightmare. I’ll let you in on a secret: designers love to be in control. There are times that you may feel smart for solving a difficult puzzle or for finding a “secret” passage to pass the mean boss to get the loot. However, the reality is that it was put there for you to find. That passage was designed to work the way that it worked for you. This is why player’s choice and open world are scary words for a level designer. The more player choice there is, the less designer choice exists. Forcing the player to walk from Whiterun to Solitude gives the designer a thousand chances to control the player. That scripted boulder collapse that blocks your path, or the bandits that jump out of the bushes are the designers controlling the game and the style of play. With InnerSpace, we share some ideas with these games, but at the same time, are entirely different. Player choice is in every aspect of InnerSpace. Are you flying around and something catches your eye? Well then, go check it out. Humans are naturally curious, and that’s something we use. In InnerSpace, the player is guided through the space with interesting structures and visual appealing plant and wildlife. Take, for example, a deep span of water. While you can’t see under the surface from the air, you can make out a small glimmer just out of readable distance. What do you do? As a level designer, I hope you dive in and explore the water to find that relic. However, you don’t have to. You can completely ignore the totally interesting collectible item that was placed by the designer (me) and nothing will come of it. There won’t be any collapsing boulders that trap you in a hallway until you fight your way through. You just keep on flying. So, then why explore? To learn, to figure out where you are and what you’re doing there. You explore to find out what happened to the ancient civilization that left behind such giant structures and relics. You explore because you’re curious. You explore because no one told you too. It’s entirely your choice if you either want to fly into a structure and brave the hairpin turns, or if you want to stay out in the open and admire a beautiful forest or a flock of birds. There won’t be anyone telling you to travel to a land faraway to collect their grandpapa’s golden bowl or to go and kill ten boars for a pair of slacks. Everything from relics to the structures they might be hidden in are designed and placed to enhance the player’s experience. A relic might be something like a rusty weapon that shows the player that the world wasn’t always a peaceful place, or a statue that represents a god the ancients worshipped. A structure might be a mine, where ore was gathered to build towers, or maybe a cathedral, where the ancients worshipped that statue you found. Whatever it is, the goal is to spark your curiosity and sense of exploration. Since the world is ever-changing and every action has an effect on the environment, there are endless ways to play the game. Again, this is the scary thing about player choice. How does one design for the ever-changing tides? What challenges does a designer face in this play space? Movement is a core mechanic of every game. It’s something that all games share, and InnerSpace is no different. Every game has ways of making movement unique. Super Mario Bros., for example, forces the player left and right, with a limited jump. Halo limits to four directions (left, right, back, and forward), as well as jump (but that is, again, limited). Assassin’s Creed and Dying Light give the player parkour, allowing the character to climb over what would be barriers in other games. But even then, the player’s limited to climbing only the obstacles the designers want him or her to. In InnerSpace, the player moves in six different directions (left, right, back, forward, up, and down). Again, this is player’s choice. Want to fly up? Then fly up. Down? Go for it. But, why? Why fly up or down? Well that’s the job of the designers. If we give something interesting to explore, or an area that looks enticing, then there’s reason to fly there. It’s also a matter of what limits the player from traveling to that unknown area. 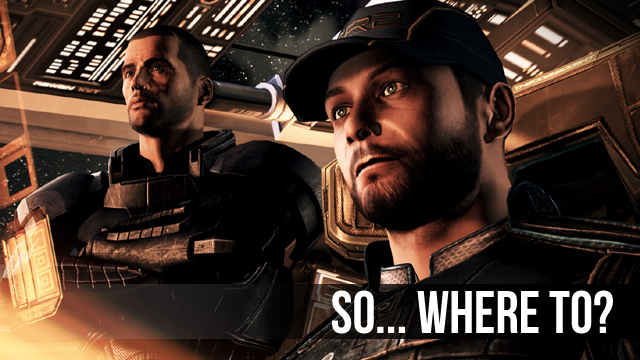 Have you ever been flying in a game and suddenly, “You are leaving the playing space,” pops up on the screen? No space is limitless, so there have to be limits on the amount of space that’s playable. But how? Is it by stopping the player with geometry, such as mountains or an invisible force field? 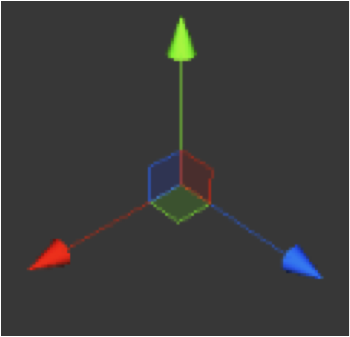 Maybe it’s simply gravity, so the player can only jump one unit high, and anything taller holds in the player. These are all done commonly and to varying success. InnerSpace takes a different stance on what should limit the player: the player’s choice and his or her own definition of direction. You can travel “up” for hours and never reach a barrier. This isn’t because there isn’t one (remember, nothing is limitless), but simply because direction is relative. In other words, in a sphere, what is really up? At what point do you start going down? The player gets the feeling of traveling up until they reach the top and then, all of the sudden, the plane’s traveling down. This is done with a unique gravity system of our own design, which is explained in Problems Programming in an Inverted World: Directionality. So, why is all of this a challenge when designing the levels? Well, we must think of everything in six directions, inside and out. First, let me explain a little how our world is set up. 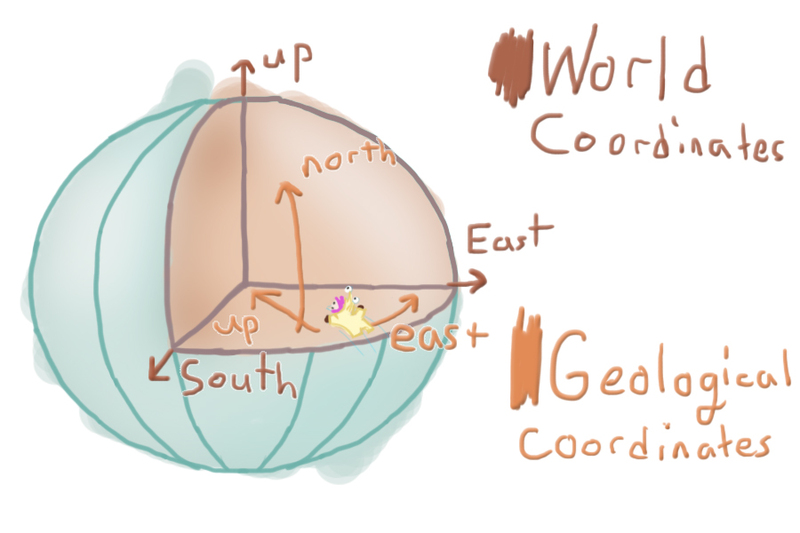 In the bigger picture, our game has bubbles, or worlds, (three, to be precise), then in each bubble there are different layers: the open outside world, including water, and the inside, more confined structures. When designing the outside world, we must constantly ask ourselves if there’s something interesting in all six directions, since the player can choose the direction they want to travel. Once inside a structure, it’s necessary to know which way is up, so that the space can be navigated. This isn’t always easy to do if you’re turning and rolling at every turn. So, the levels must lead the player, but still offer them plenty of choice. We may have placed the four tunnels there, but it was the player’s decision to take the one he or she did. Piece by piece, room by room, that is how levels are often designed. Think of Level 1-1 in Super Mario Bros. While rather simple, it teaches you how to play. It shows you that Goombas are bad, as are holes in the ground. Level 1-1 prepares you for Level 1-2, but what if you didn’t have Level 1-1? What if you started at Level 2-2 (the underwater level)? Would you be prepared? Sure, you could figure it out, but it wouldn’t be as easy as if you worked your way up from the beginning. This is what I mean when I say building room by room. One room prepares you for the next. But what if there was no “hand holding,” as it’s sometimes called. Think of Minecraft. The player is put in a world…and that’s it. Survival is the goal, but you must figure out how to survive and make up your own reason why survival is even important. InnerSpace is similar. In InnerSpace the player is put in a world, told he or she can fly and dive, and the rest is up to them. There’s no hand holding, nor linear pathways. And that’s what’s challenging about our game, as a designer. Remember the little designer’s secret I told you about? That all designers like to be in control of the game? Well, this is what we’re doing in InnerSpace. Instead of focusing on walking the player through an hour-long tutorial, or quest after quest of fetch this/ kill that, we focus on making fun and enjoyable levels for the player to explore and experience, however he or she wants to explore them. We supply the opportunities for the player, but it’s up to him or her to explore and find them. Here’s an example: Imagine that you’re flying in a mineral mine, weaving in and out of the passageways, trying to make your way to the center. When you get there, you see a large motor that’s blocked by debris. You could fly away from the motor and be done with it, or you could clear the debris to find out what happens. Hypothetically, you clear the debris and the motor starts up, giving power to the rest of the structure. A number of doors open along the way you came in. You travel back and find a relic that portrays what the minerals were used for. Everything in this scenario is player choice. The player doesn’t need to solve the puzzle of the motor, but if he or she does, the relic improves their knowledge of the structure, as well as opens up more areas to explore. InnerSpace is an open world game that flows around player choice. Everything, from the direction you head at the start, to the objectives you give yourself are driven by curiosity and natural desire to learn more about the environment. With that said, there are a number of challenges that this brings with it, such as directionality and player motivation. The solutions we’re utilizing give the player things to explore in every direction, in order to make it enjoyable no matter when and how the “levels” are played. Everything is up to the player, and the level design supports that.